I’ve always been obsessed with children’s books, so when I became pregnant I was super excited to start a home library. 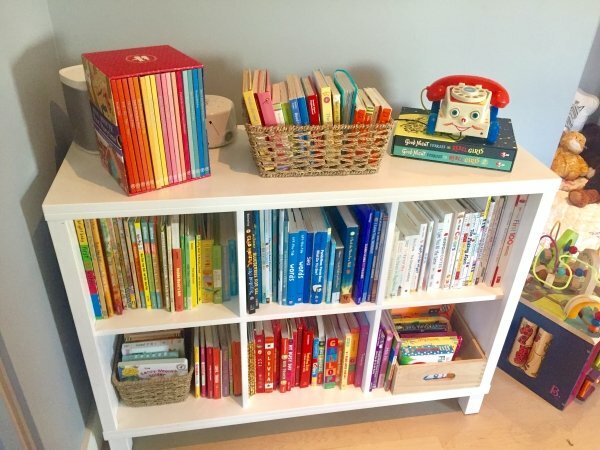 To me, purchasing books for my daughter was even more exciting than purchasing baby gear, and so even before she was born our home started to overflow with children’s books. Now that our daughter is three, our home has an amazing library of curated titles. It brings me such joy to sit and read with my daughter and her love for reading grows even stronger with each passing day. I keep worrying that we’re running out of space to continue storing all of our books, but somehow each book manages to find a place. 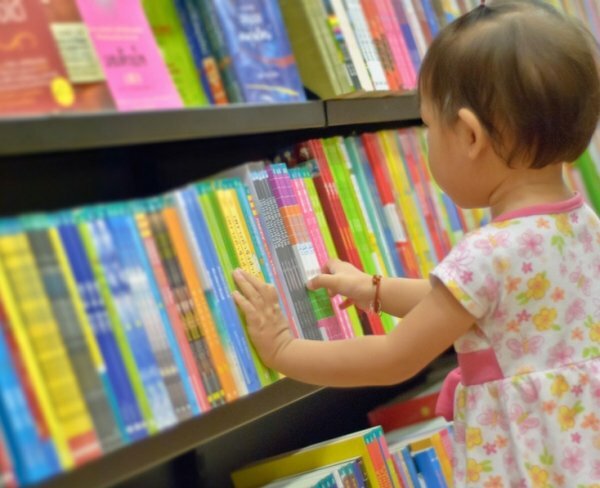 Starting your baby’s first library can be an exciting task, but also overwhelming if you’re not exactly sure which books to even buy or where to purchase them at a reasonable price. 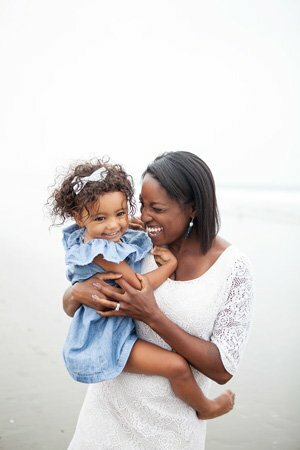 In this post, I’ll share a few tips to successfully start your first library, as you prepare for your new bundle of joy! You can also check out my post Classic Board Books for Your Baby’s First Library if you need a few books to get you started. Friends love adding books to a baby shower gift, so make sure to include some books on your baby registry. Another idea is for shower hosts to ask guests to bring books instead of cards with a personalized message inside. Personalized messages automatically make the book a keepsake that will become a treasured title in your home library. Deciding how to creativity displays books is another fun way to setup your child’s first library. Creating a little reading nook with a wall book display is a great place to start. You can also purchase baskets that you can fill with books and setup around your home. Baskets make book visible and accessible to children, so that they naturally become part of their world. A small colored coded bookcase is also another way to store books. The color coordination can help young readers recognize and match colors while keeping your books looking fresh and organized. Yard sales and thrift stores are perfect destinations for cheap books. People are often pretty generous at yard sales and will often just give away books to new mamas. Thrift stores often have titles for less than a dollar and can be in pretty great condition. Visiting the library or an independent bookstore can be a great place to start when building a new library. Children’s librarians always have wonderful book suggestions and create magical book displays. Independent bookstores have curated book selections and knowledgable staff who are book lovers. Amazon is one of the best places to source books for a reasonable price and they are shipped right to your door. They also often have deals on children’s books and the reviews are helpful. If you’re a book lover like me, my Amazon cart is always filled with books. Amazon also now has a Prime Book Box for Kids that you can have delivered each month with 2 hardcover books or 4 board books. Marshalls, Ross and Costco surprisingly have a fantastic selection of books. Books range from classics to new releases and the books are cheaper than most bookstores. Even better, you can also get other shopping done while stocking up on new books! I’d love to hear more suggestions for setting up baby’s first library! Leave a comment!